Redfish love to eat crabs. 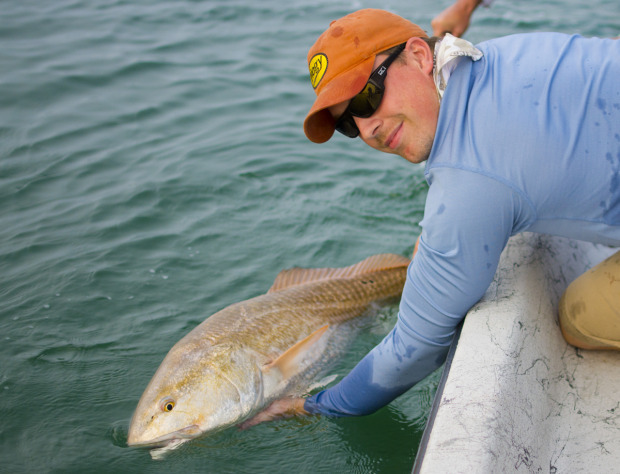 It’s a primary forage for bull redfish that frequent inlets all around the southern coasts. While the effectiveness of using real crab or cut crab baits is apparent, finding these baits can sometimes be difficult or expensive. I recently had a chance to fish with Bull Redfish expert, Capt. 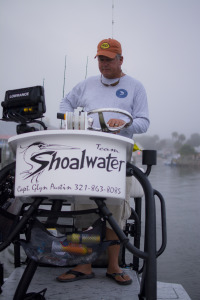 Glyn Austin of www.goingcoastalcharters.com based out of Sebastian Inlet. Capt. 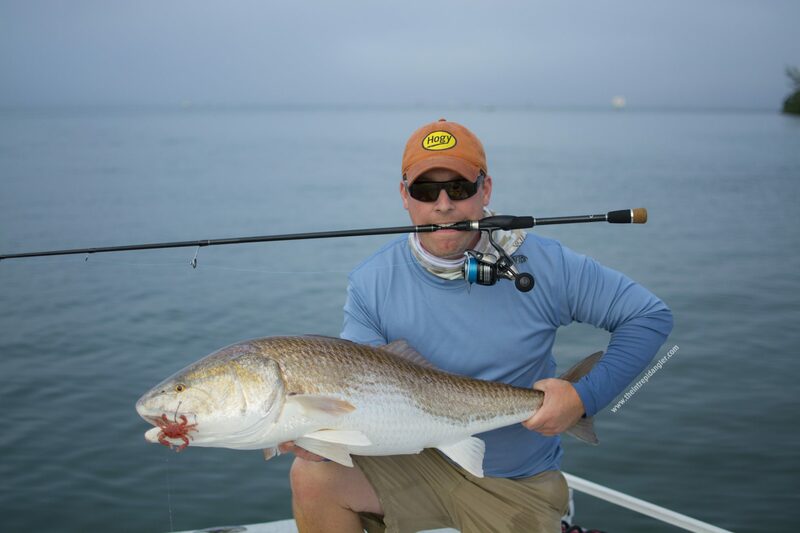 Glyn focuses his fishing effort targeting the over-slot sized bull redfish that frequent the inlet during summer months. These fish are very profile and color selective when it comes to eating anything. As described by Glyn, these redfish often refuse to eat live baits like finger mullet or cut bait. A majority of artificial presentations go untouched as well. This fall, Hogy Lure Company released a new product called the Floating Soft Shell Crab designed to be a totally buoyant soft bait capable of floating on the surface, even when rigged with a heavy gauge circle hook and bait keeper. Capt. Glyn had been using the baits for a couple months and had great success during a variety of conditions. The crabs were presented near the surface feeding redfish and left to drift motionless with the outgoing current. This “inactive” presentation imitates a drifting crab, the specific forage these big redfish are keyed in on. I was told a last of the season run of big redfish had started earlier in the week. I cleared my schedule and made a mad dash across the state to get in on the hot action. There was a thick fog as we made our way across the state. It held heavy as we approached the ramp. It was still a half hour before daylight and the sun was just peaking up below the horizon. Looking out into the lagoon, I could make out errie shadows of nearby spoil islands. 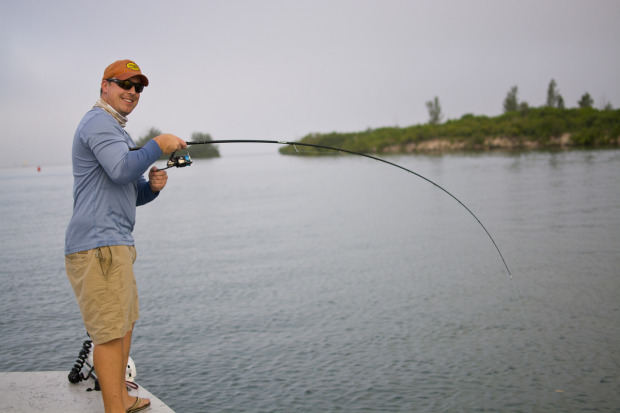 We decided to drag some swim baits along the wooden planked docks near the ramp, but before we could get to casting, our guide pulled up ready to launch. After meeting Capt. Glyn at the boat ramp, it was quickly apparent that he’s a true professional guide. 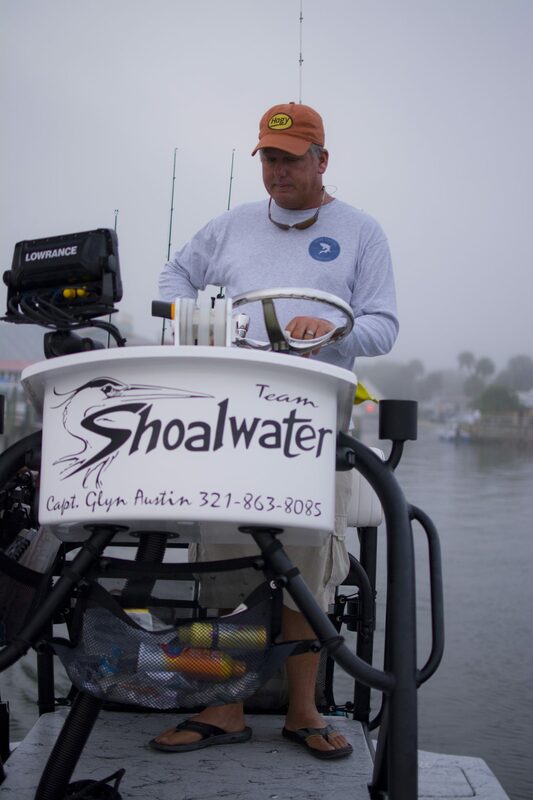 He operates a beautiful Shoalwater boat, fully outfitted with top of the line gear and tackle. What impressed me the most was his laid back, positive attitude about our fishing event. Calm, cool and collected, Glyn was ready to fish! 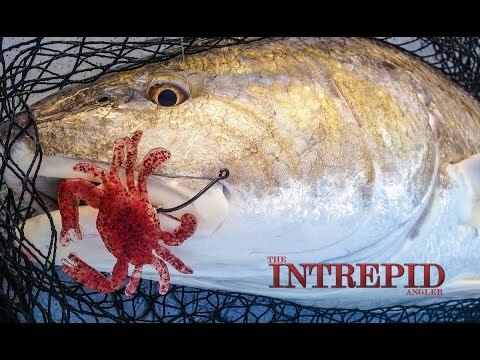 We headed to the inlet and began seeing large 40″ redfish sipping crabs along a tide seam formed near the center of the inlet. Slowing down, we staged along this seam and began stemming the tide with the trolling motor. Using the anchor feature of his iPilot trolling motor, we staged up waiting for fish to appear within casting distance. It took 3 casts to hook up on an inlet bull redfish. The strike was exciting, in the clear water and close range, you could see the fish spot the bait, get excited and dart towards it with a flick of the tail. With a sideways turn, she would roll onto the crab, engulfing it in one swipe. The circle hook grabbed cleanly in the corner jaw and the fight was on. I was honestly surprised by the fighting style of these big reds. They offered a few strong runs in the beginning, but quickly settled into a tug of war as she would stoutly try to swim away. I thought it was a excellent chance to test out the the MH 7′ 6″ SI Series Spinning Rod from Sewell Custom Rods. These rods feature a microwave guide system that helps clean up the braided line right as it exists the reel spool. This offered a major increase in casting accuracy with little to no decrease in distance. It was an excellent pair while casting a lofty bait like the Hogy Crab. 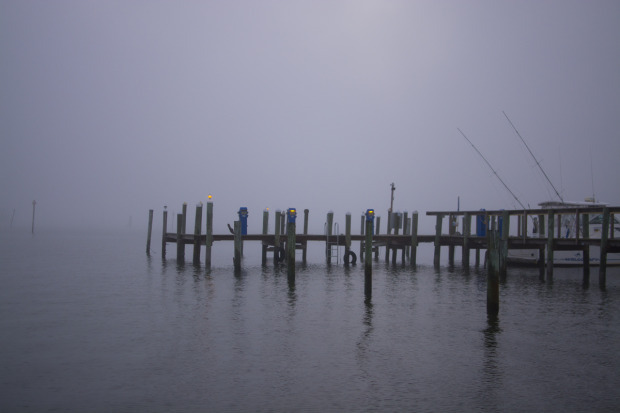 After landing another large redfish at 42″ and missing a few others, we decided to try our hand looking for a mullet run that really had not started yet. In hindsight, it would have been more fun just drifting the inlet tugging away on those big redfish. Unfortunately, sometimes it’s easy to get greedy and try to do too many things in one trip.